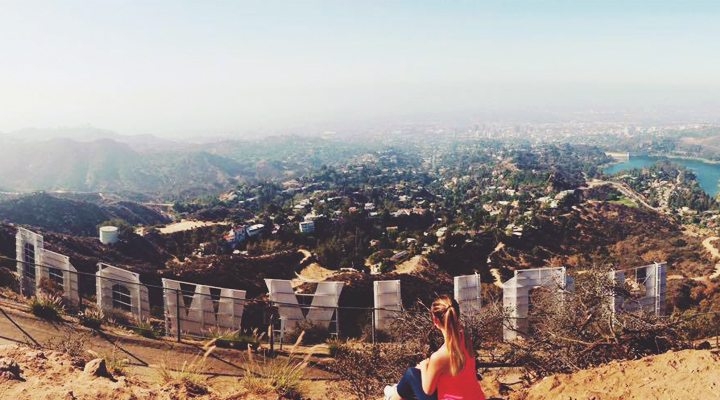 Everyone visiting Los Angeles is probably wanting the same thing: the million-dollar picture with the Hollywood Sign. However, getting to the top of the Hollywood Sign might be a bit confusing if it is your first time going there. As a matter of fact, the sign is not designed to get anywhere near it. There are cameras everywhere and the sign is surrounded by fences. Don’t let this bring you down! Even with the high-security there are still trails for you to hike to the top and get near it. During my time as a local (in LA), I’ve gathered some tips that you might find useful if you want to make it all the way to the top and avoid getting lost (Believe me, we’ve all been in this situation). The biggest problem and main reason why so many people get lost is easy: when you search for the “Hollywood Sign” from your smartphone there are too many streets that seem to get close enough. This is the first mistake. The main issue about these streets is the fact they have no exit and end up being a waste of your time. Apparently, this is not a coincidence at all. The residents of the area seem to be very tired of tourists going around their neighborhood and parking where they shouldn’t. Don’t get confused. There are different options of trails you can take if you want to get to the sign, some shorter and some longer. In my experience, the easiest way to make it to the top is using the trail that starts at Beachwood Canyon – a beautiful neighborhood located in the Hollywood Hills. The easiest way to locate the entrance or gate where the trail starts is as simple as writing a “random address” on Beachwood Dr. For example, you could use “#### N Beachwood Drive” and replace “####” with a random number until it looks similar to the picture above. The trail starts at the end (North) of Beachwood Dr. Once you pass the gate, you are ready to hike your way up to the sign. The address I gave you above takes you to the gate. However, the only way to make it to the top is walking/hiking. Accessing to the sign with cars is totally prohibited (unless you work as a Park Ranger). On the other side, you can’t forget that Beachwood is just a normal neighborhood as any other and its residents don’t want to be disturbed. This means that there is no such thing as a tourist parking lot and that street parking is not allowed unless you have a resident permit. My advice at this point would be to either walk to the address (It might be long but certainly doable) or have a friend drop you off. Other options, and my to-go alternatives, are apps such as Uber or Lyft. These apps are a great choice and you might get lucky to end-up paying as low as only $2 per person. Besides saving you the time and headaches to find a place to park your car, it also leaves you right in front of the gate – just write the address above as your “Destination”. Once at the gate you are already half-way there. However, you can still get lost if you are not sure where to go. 1. After the gate, walk your way up until the “Sunset Ranch” sign where you should turn right on the dirt path. 2. Hike your way up. You will see a path on the left with a gate to a field (that takes you back to the Sunset Ranch). You can keep going straight and make a left after that path. 3. Once you made a left you are going to go down to a pavement street with an intersection. Make a right at this point. If these directions happen to be confusing, you can always refer to the map above. Don’t forget to stop and take lots of pictures! There are a lot of spots with great scenic views.